With a stay at Noosa International Resort in Noosa Heads, you'll be within a 5-minute drive of Noosa Beach and Noosa National Park. 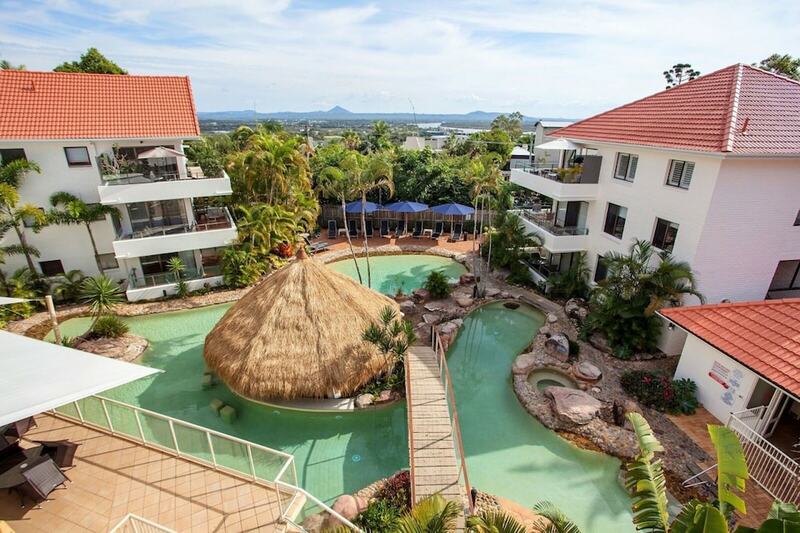 This apartment is 0.6 mi (0.9 km) from Hastings Street and 9 mi (14.4 km) from Coolum Beach. Make yourself at home in one of the 47 air-conditioned rooms featuring microwaves. Cable television is provided for your entertainment. Bathrooms have showers and hair dryers. Conveniences include coffee/tea makers and irons/ironing boards, and housekeeping is provided weekly. Dip into one of the 2 outdoor swimming pools or 3 spa tubs and enjoy other recreational amenities, which include a sauna. Additional features at this apartment include complimentary wireless Internet access, tour/ticket assistance, and barbecue grills.